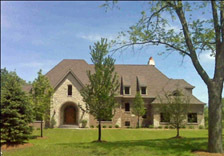 Jade Custom Home Builder helps you find the perfect location to build your dream home. Design a new construction home from the ground up with the following available sites found by Jade Custom Home Builder. If you like what you see, contact us to discuss the plans to your new dream home. In town lot with mature trees and is ready to build on. This homesite offers privacy as it backs up to open space behind it. This particular lot could be purchased for $445,000 and bring your own builder. However, we would love to build your dream home. Elegant and beautiful, this home is a wonderful entertaining home. Floor plan includes office, lower master suite, large laundry room, 500 sq ft bonus room and a two story great room. Basement has 10 foot ceiling to really expand your living space. House backs up to open space for privacy.